Mercado's Beverly Grove and Hollywood locations have drawn praise in their own respective neighborhoods, but Westsiders are getting a piece of the action with their own Downtown Santa Monica outpost. 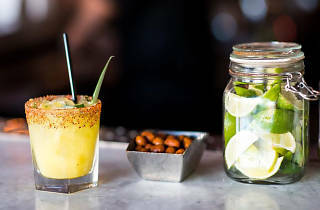 Bringing an inventive mix of food, atmosphere and tradition, partners Jesse Gomez and chef Jose Acevedo have created a space that is perfect for relaxing with a margarita and taquitos, or indulging in their popular Sunday brunch (helloooo Chipotle Bloody Marys). 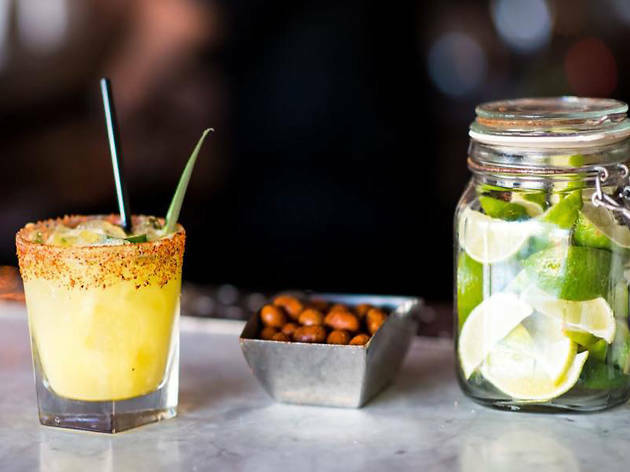 Take in the colorful artwork, the relaxed atmosphere and, yes, the tequila, and it's like your own private Mexico. Place was cute. Service wasn't great. I recommend the elote, the tamales and the spicy cucumber margarita. Be sure to make reservations to avoid the long wait on weekends!